We have received hundreds of reports that the I.R.S. has been accepting tax returns before January 31st, 2014. It seems that they have started accepting select few income tax returns on January 24th 2014. We contacted the I.R.S. on that day and were told that to help with the case load, they have accepted some returns early. They plan is to accept returns all next week that meet very strict rules. We have adjusted our 2014 IRS E-File Cycle Chart to match with the reports that we have received. Please comment on here when you were accepted, so that we can keep see if they do a pay out on January 29th. This would be in line with 2012 and 2011 tax returns. “We have received your tax return and it is being processed. 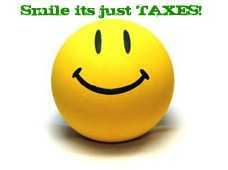 We have had several clients have their income tax returns accepted on January 24th, 25th, and 26th 2014. Mine said it was accepted. We filed electronically on Jan 19th. Mine was accepted on the 25th… whats next for direct deposit receivers??? Most likely the IRS will do a direct deposit payout on January 29th, 2014, if not then you will be waiting until the first “official” payout date of February 5th 2014 per the Tax Refund Schedule. Mine was accepted on January 26th. Turbo tax says mine was excepted on the 25th but it's still showing as processing on the where's my refund site. Anyone know why? Mine was accepted on the 25th. I wonder if the early acceptance will fall under the Feb 5th payout? E-filed on the 20th, accepted 27th. I filed on January 3 using Turbo Tax and received a notice on January 24 that my return was accepted. So if ours have been accepted this early, does that mean we will get a direct deposit on the 5th according to the IRS payment schedule? I did by taxes on January 17th through TurboTax. 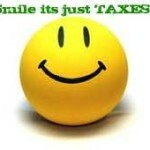 I received an email from TurboTax on January 26th saying that the IRS had accepted my return. I was told that although my return was accepted by the IRS, they would not be processing any until Janaya 31. Kia, that should be the case. I would keep an eye on the IRS Where's My Refund webpage though. Sandy, accepted usually means that it means the standards of the IRS. (All correct SS#s, Names, Forms, Etc.) They will still go through your return before assigning a pay out date. This can be held up several days. Deb, were you told by the IRS? I think we are all playing the waiting game to see when they show the first expected payout right now. Kia, I would say that the 5th or soon is a safe expectation at this point. Early processing means early refund. IRS is processing refunds now. My return was accepting on the 26th and it shows that it is being processed via "Wheres my Refund"
I sent my taxes in on January 22. My return was accepted on the January 26. It now shows that it is being processed via "Wheres my Refund"
Ours was accepted on 1/24/14. mine was accepted on the 24th. i check my refund status and it says being processed. it still does ot say when i should get my return but i also saw where it said the 5th so i guess we will all see then. Has anyone filed on the 27 and received an acceptance yet from the IRS? My return was accepted on Jan 26th. I filed on Jan 18th. Hope my refund comes early! I filed on the 15th through Turbo Tax and received an email on January 24 stating it was accepted. As with all of you that have been accepted, mine is still also in the processing stage. Mines was accepted on today…. I got mine accepted today. I filed mine on Jan 3rd, I received a notification on 1/24 that it was accepted. Still shows processing on IRS website. Though last year it said the same thing till the day the money was sent. Submitted my return today and in 30 minutes it went from- in queue to sent to the IRS to accepted. Wonder if that means I will get my refund early too!! My return was accepted today, Jan 28th. I got notice today that my return has been accepted by the IRS. I e-filed on the 24th! I got a message an hour or so ago saying the IRS accepted my return on January 28th. Turbo Tax told us yesterday that it would be Jan 31st before they could be excepted. I filed through TurboTax on January 10th and received an email on January 24th stating the IRS had accepted my return, however, as of today WMR only gives the vague being processed and expect within 21 days:) Will post again when refund is received! I hope this stuff goes better than last year. Also my friend is a tax preparer and says the irs informed them direct deposits and checks would be given on any business day instead of the Wednesday's only they did in the past..
Wmr updated just now. Voice recognition instead of using the keypad. Anyone showing a refund yet? Mine was accepted today! So excited! Yep I got it today. Thank you Bertha! We appreciate any kind of insight from the I.R.S. here. They accepted and began processing my return yesterday, Jan 28. I submitted it through e-file a little after midnight Jan 28 so it was very quick. The status right now is that it's being processed. My return was filed jan 11 an the irs accepted it jan 24 so hopefully today or tomorrow I should get my refund I'm in houston, texas hope it helps. Thank God I filed early. Started the process on Jan 24th, but got rejected. Found my error and what I thought was another, but got rejected a second time, called the IRS and found out someone had been using my info to illegally file in another state in 2011 &2012, in the two years I didn't file while on disability. Thankfully it was fixed with the IRS and I resubmitted yesterday and was immediately accepted!!! Does your WAR still say accepted? Or has it gone to the 2nd stage? If it hasn't your probably not getting your money this week. I wouldn't think any way. I've read posts c and more posts Noone had there's gone to the 2nd stage. well i got accepted on 1/28 says return accepted on wmr site. but last year i was accepted early on 1/25/13 and it said my estimated payout date was 2/4/13 but i got it direct deposit on the 31st of january so maybe we will all get it before the 5th kepping fingers crossed!! it probably was sent to your bank today, direct deposit doesn't get sent out for 1 or 2 days. Submitted on Jan 23, 2014. Accepted on Jan 29, 2014.